Maternal Deaths Rising At Alarming Rate, But Who’s Counting? Why do so many pregnant women and young mothers die? Your guess is as good as our government’s. We simply don’t know. Even the statistics we have aren’t current, though from all indications the U.S.’s mortality rate is rising, as it is in Afghanistan and Sudan. But in the U.S., the rate has risen by 136 percent between 1990 and 2013. The Centers for Disease Control and Prevention (CDC) recognized gaps in the data all the way back in 1986, during the Reagan administration. Since then, the CDC has requested that states share the death certificates of every woman who died during pregnancy or within a year of giving birth. But it wasn’t until 2017 that all states allowed a check box on their death certificates to mark pregnancy-related deaths. 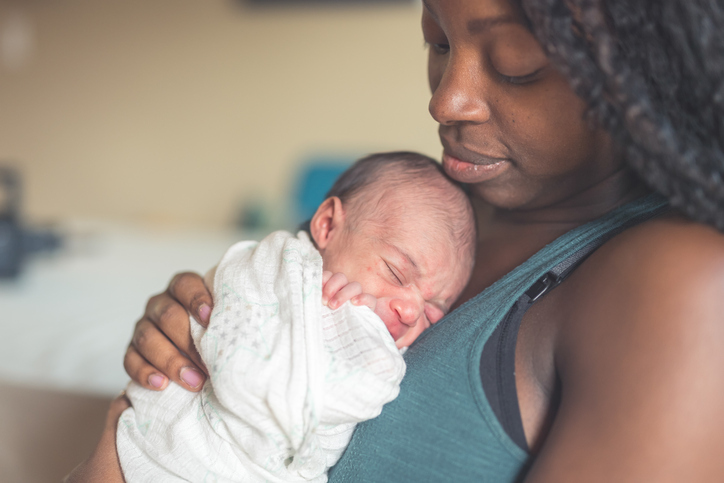 The CDC reports significant disparity among races, with a far higher figure for African American mothers (43.5 deaths per 100,000 live births, compared to 12.7 deaths among white mothers). According to a 2014 study from, among other organizations, the National Latina Institute for Reproductive Health, in some parts of Mississippi the rate of maternal death for women of color exceeds that of sub-Saharan Africa. In CT, between 2011-2014 eight women died within a year of delivering a baby. No other data is available. The most frequent cause of death (at 15.5 percent of all maternal deaths) was cardiovascular disease. Other causes include preeclampsia, a complication that can include high blood pressure and damage to organs such as the liver and kidneys. Doctors say that at least half of these deaths are preventable. This much we know: At 26.4 per 100,000 live births, the U.S. has the worst rate of maternal death in the developed world by several times over. The rate has risen by 136 percent between 1990 and 2013. In Canada, the rate is 7.3 maternal deaths per 100,000 live births. In Western Europe—Italy, Norway, Sweden—the number is 7.2. Since the United Nations set a goal in the ’90s to reduce maternal mortality by 75 percent, the universal maternal mortality ratio was cut by 45 percent by 2013. But not in the U.S. In addition to the deaths of mothers, according to a 2017 Quartz report, another 50,000 U.S. women narrowly escape death during pregnancy or childbirth, and every year, another 100,000 women become seriously ill during or after a pregnancy. Here’s another perspective: A joint NPR/ProPublica report said that for every woman who dies from childbirth, 70 more come close. In a time of big data, how is this an area where we fall tragically short? Data isn’t everything, but without knowing the issue, there’s no chance we can address it. In Connecticut, eight women died between 2011 and 2014—probably. No more recent figures are publicly available. This past legislative session, Gov. Dannel P. Malloy signed a bill that establishes a maternal mortality review program as part of the state Department of Public Health. A previous iteration of the program was defunded in the state’s recent budget crisis. But this program isn’t state-funded, either. Compiling data takes time and it takes money. So how does a review of the roots of maternal mortality happen without (current) data? And how does data get collected without funding? Go to United Health Foundation’s America’s Health Rankings and try to find current data on Connecticut’s maternal mortality rate. It’s sparse. This work is too important to hand to doctors to try to work that into their already-busy schedules. A high maternal mortality rate is a blight on the nation and the state. It’s possible to share maternal mortality data and still protect all-important patient confidentiality. This important work needs more than lip service. It needs funding, and dedicated personnel.